There’s a Labor Day sale going on right now at the Vera Bradley Store! No coupon code required, just be sure to click thru this link. I do want to warn you, though, that they will likely go thru their selection extremely fast. Color choices are limited. The Hipster bag is just $30. I love the lines on this one! These cute Zip ID Cases are only $6. I think this would be great for teacher’s gift bags. Little Crossbody purse for $17! Great idea for a Bat Mitzvah gift! You can also get this Carryall Crossbody bag for $36. 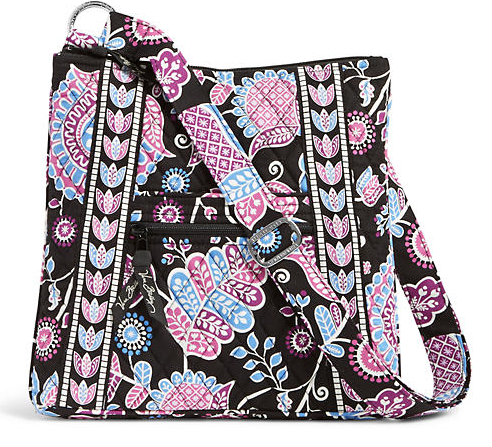 Check out all the Vera Bradley Labor Day Sale Items HERE. These make great Bat Mitzvah gifts — and teacher gifts!